I should think that after all the hype over the past year you will be familiar with coconut oil, people have gone crazy over it this year for all sorts of different reasons. Some people like to use it in their hair, others use it as a moisturiser but they are just a couple of different ways that it can be used. 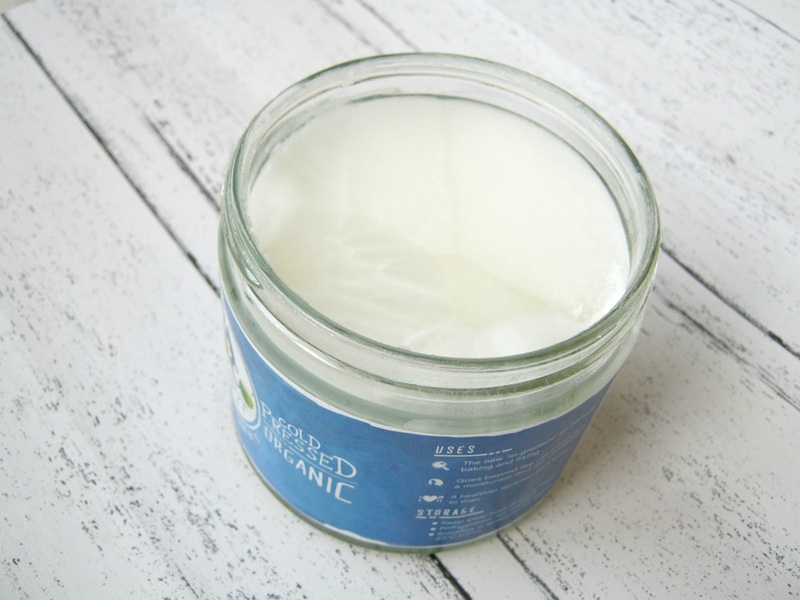 I didn't realise until I had a good look online that Coconut Oil can be used in so many different ways! 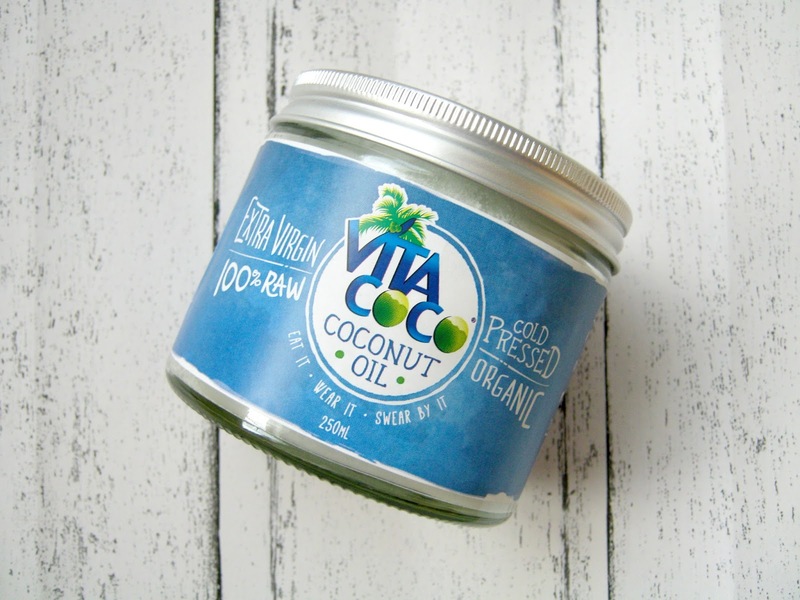 I've been trying out the Vita Coco Coconut Oil* for a few weeks which you can get from NutriCentre. I've mainly been using this in my hair as the weather is making it so dry and frizzy at the moment. If I leave it on my hair overnight and then wash it out in the morning it makes such a big difference and my hair is left feeling a lot softer and smoother as well as being easier to manage. There are hundreds of ways to use it though so I thought I'd share a few with you today. Firstly you can cook with it, it can even be used as a dairy-free replacement to butter which I had no idea about! It's gluten, dairy and wheat free so could be a great option for those with food intolerances. Next up is that you can use it as a body lotion, I've used it on my hands a lot before I go to sleep and it honestly leaves them feeling a lot softer and in better condition so I'll definitely have to try it as a body lotion as well. The third way that I found you can use it is that it makes a very good eye makeup remover apparently, I'm yet to try this one for myself but a lot of people seem to swear by it. One way that I also want to try using it for is to get rid of stretch marks, I know there are lots of different creams out there that claim to help and I've always been sceptical but this is a lot more natural so hopefully it will work better! Finally you could also use it to make your own body scrub, this is something I've wanted to do for a little while so looks like I've got myself a little post Christmas project to do! If you haven't given Coconut Oil a go yet I'd really recommend picking up some as the ways to use it seem to be endless! I've been loving Coconut Oil this year! Been using the Vita Coco one too! I especially love it as a moisturiser at night time for my dry skin! Done wonders for my blemishes too! I haven't actually tried coconut oil yet, but I totally need to pick some up! Thanks for the tips.